There are a lot of unknowns with airline travel. Follow these tips to make sure access to gluten-free food isn’t one of them. ➜ State your GF status to your airline in advance. 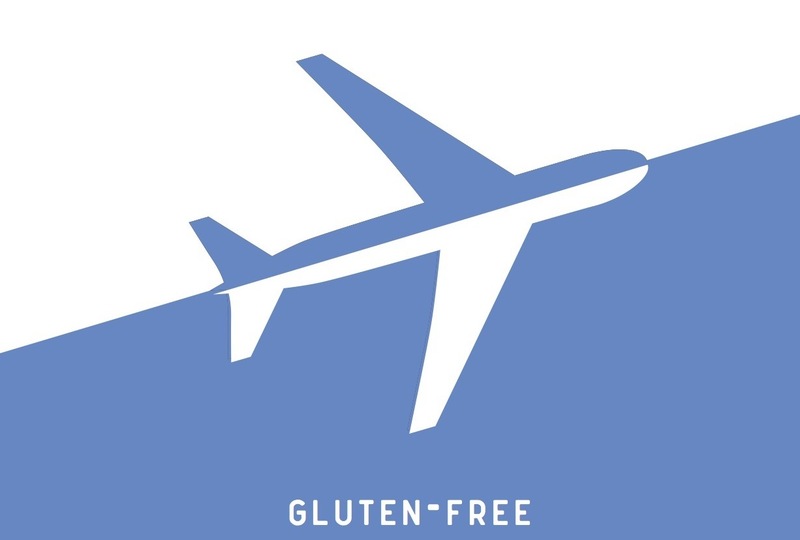 For flights that serve meals, always call the airline and request the gluten-free option, and have provisions in your carry-on bag in case they screw up. It happens more often than we’d like. get delayed, extending the time you’ll be hungry and traveling, so always arrive with your own eats, like a protein-rich gluten-free sandwich or salad in a disposable container. Bring more than you think you’ll need, and include stuff that doesn’t spoil and travels well, like GF granola, dried fruit, and bars. ➜ Know your restaurant options. If you expect to linger in a terminal during a layover and want to eat, research your airport dining options beforehand. Check our list of gluten-free airport-dining choices here, visit our growing list of airport eats at gffmag.com, and browse the airport website for best bets. ➜ Seek safe stuff in the terminal in a pinch. Most airport news and snack stores have packaged GF convenience foods. Look for nuts, fresh and dried fruit, bars, chips, and yogurt. Be sure to scan the ingredients before buying.